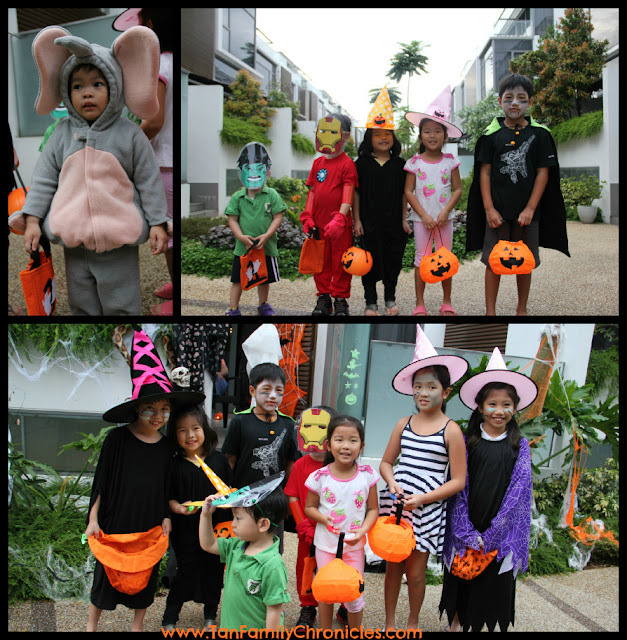 We celebrated Halloween last night! Well, not that we really celebrated the event, I think it would have been more appropriate to say that we joined in the fun. My sister lives in a development which has a high proportion of western expatriates. Hence the residents celebrate it en masse, and everyone just joins in the fun. Shawna in the elephant suit; Asher as Incredible Hulk and Isaac the Ironman! This is Isaac's 3rd time joining in the fun, and he remembered the fun he had the last two rounds, so he was looking forward to this indeed. 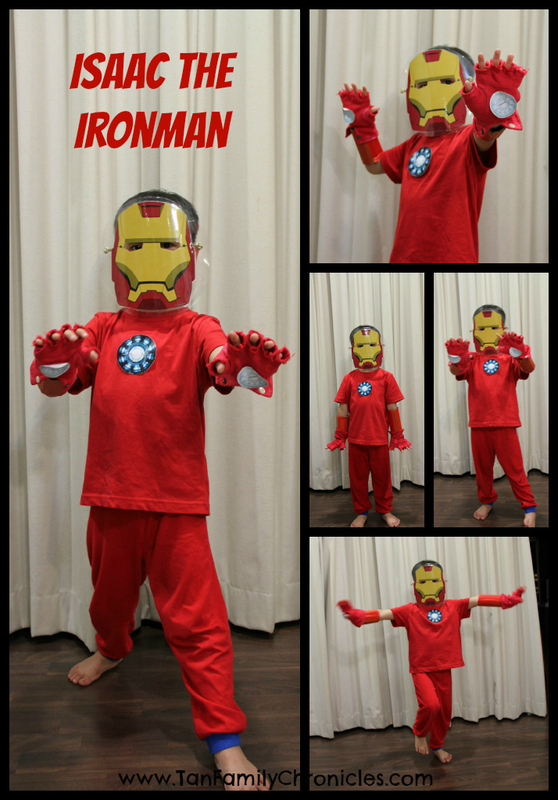 He requested an Ironman costume which we managed to throw together without too much trouble - thanks to a Ironman mask printable I found online. Asher got to be the green Incredible Hulk and I found an Elmo face mask for Shawna - but she chose to wear the elephant suit instead. She looked very cute in it, but it was sweltering hot to be in it. Before the night was done, we had to take her out of the suit before she had a heat stroke. 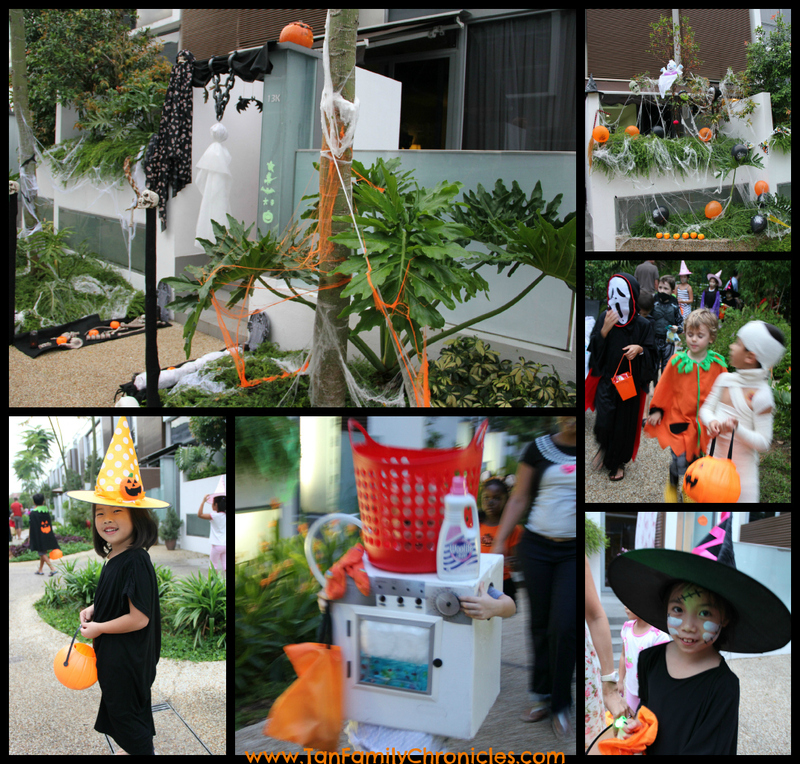 Look at the crowds and the house decor! This year was actually more toned down than previous years coz it was a working day. 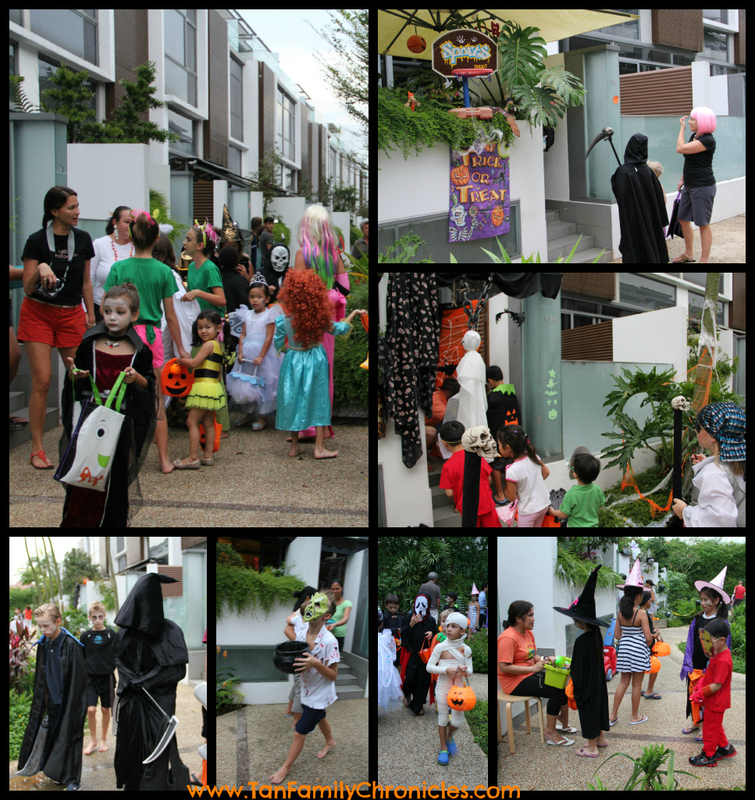 The residents were all very game and stocked up on candy to give out to the kids. We got Isaac to don his costume and pose for some pictures coz I wanted to take him in his costume showing off the gloves we dyed for him. He said:"Mummy, I don't need to smile because you cannot see my mouth." Hahaha. yes, indeed! That's my Ironman for you! I'm always wondering why we don't have pumpkin in my home town during Halloween. Are we missing an interesting culture?